Thank everyone for coming out tonight on a wet evening. Especially want to thank our guests for joining us this evening. 2011 has been a banner year for ARMN. As of this coming Monday, we will graduate the seventh class of ARMN volunteers. Coming up with accurate statistics is a bit difficult considering that hours were still coming in this afternoon. As of about 2:00 pm today, our active volunteers totals 137. Our return of trainees who become active volunteers is close to 90% . As of this afternoon, ARMN volunteers logged in almost 8000 hours so far in 2011 and we still have three weeks to go! Sixty-two members have reached certification or recertification levels in 2011. That is impressive indeed and we should all be proud of our collective efforts. Barcroft Park: ARMN has conducted monthly invasive pulls and restoration work, combined with a variety of advanced training and programs. ARMN commitment has provided momentum for reclaiming this ecological gem, and our commitment helped to secure a recent grant for contract invasive treatment to further these efforts. Don’t miss the last event of the year: December 17 where we will work and get some exercise from 9:30 to 11:30am followed by a walk with Joe Marx, where we will explore the unique geology and hydrology of this area. Thanks to Marion Jordan, with the assistance of Jim Hurley, for their efforts in leading this project. Potomac Overlook Park: With the installation of the native shade demonstration garden in partnership with Audubon Society of Northern Virginia, and the Meet Me on a Sunday Program, we anticipate having a regular ARMN presence at PORP in the coming year. Thanks to Joanne Hutton for taking the lead on this project. We hope to build on these successes in the coming year, and re-evaluate focus projects on an annual basis. The biggest criterion seems to be having a champion within ARMN and a strong partner group to support the volunteers. If you would like to get your project nominated to be a focus project for 2013, start building the momentum now! VMS: The Communications Committee, under the leadership of Christine Campe-Price and with the able assistance of Pete Pfeiffer has done terrific work in transferring all of the chapter information over from the armn.org site to the new Volunteer Management System. For those of you who have been with us from the beginning, you will recognize the huge improvement in centralizing chapter information and the reporting mechanism. We are just beginning to utilize all of the features, but it has greatly reduced the administrative work of keeping track of members’ hours. We began the discussion this past year about what messages we liked to convey as a chapter in the numerous opportunities we have to interact with the public. Given that we are involved in so many different projects, it is often difficult to project a clear message or single theme. We’ll be focusing more on this in the coming year and welcome the active input of members. Programs and Advanced Training: Looking for a team of people, where each member will assume responsibility for two or three programs or advanced trainings a year, in addition to the numerous opportunities that are already available to us. 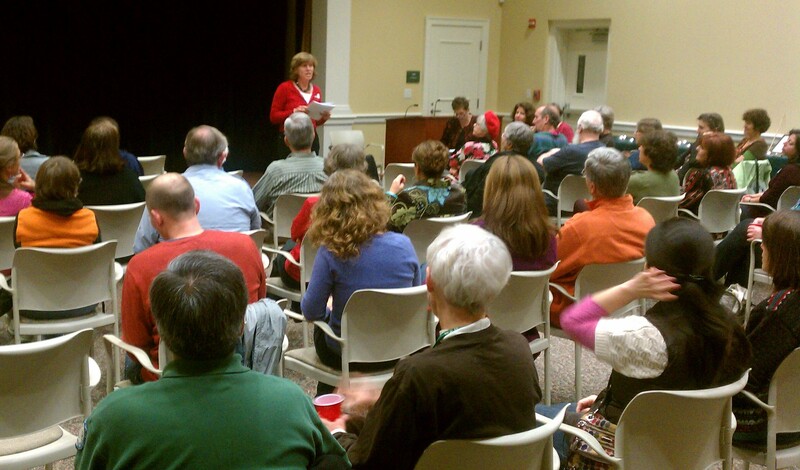 Elizabeth Gearin has done a great job this past year and will be staying on the committee but stepping down as chair. Sherrie Burson has agreed to be nominated to chair this committee in 2012. Outreach: The potential opportunities for outreach and education are endless. Thanks to several members of the current training class for adapting their presentations to make them immediately useful for our display board. We will be recruiting additional members to help better define our external message and to continue to work on our display materials. Robin Davis has agreed to be nominated again for the chair of the Outreach Committee. Web site writing team: as mentioned previously we are looking for a group of people willing to write about various topics throughout the year to ensure that our content on the website is fresh, interesting and informative. If you have an interest in any of these areas, please let us know or sign up for more information on the clipboards at the back of the room. Audubon Ambassadors at Home: We’ll be working with Cliff Fairweather to offer training for ARMN members to provide education and advice on how to make private yards more habitat friendly. Will be making an announcement soon about a training in January or February, and how we might specifically target neighborhoods adjacent to natural areas. –The project on the wildlife value of native plants: has become more involved as we may be partnering with DCR, but we hope to have this up and running soon– thanks to Leigh Pickering for the groundwork on this project. –Michelle Prysby yesterday contacted ARMN to pilot an on-line citizen science project. Will be sending out a short survey on that tomorrow for those interested in participating. Junior Master Naturalist program in conjunction with 4-H. Just beginning to get off the ground, opportunities for master naturalists to support. Toby Smith is taking the lead on this project. Working Group on Environmental Education: Already have numerous volunteers in the schools, and the “tool kits” have been a big hit and we have lots of opportunities to expand this program – thank Lou Ott for chairing WGEE. There are so many other great projects: such as the ongoing work with the National Park Service, the ARMN sponsored and supported invasive work , stream water monitoring, and some of the individual projects like the monarch butterfly tagging and the bluebird nesting boxes – there really is something for everyone and if you need any ideas for service projects, please see me or Jim Hurley! – Long Branch staff for putting up with our shenanigans and hosting our training. 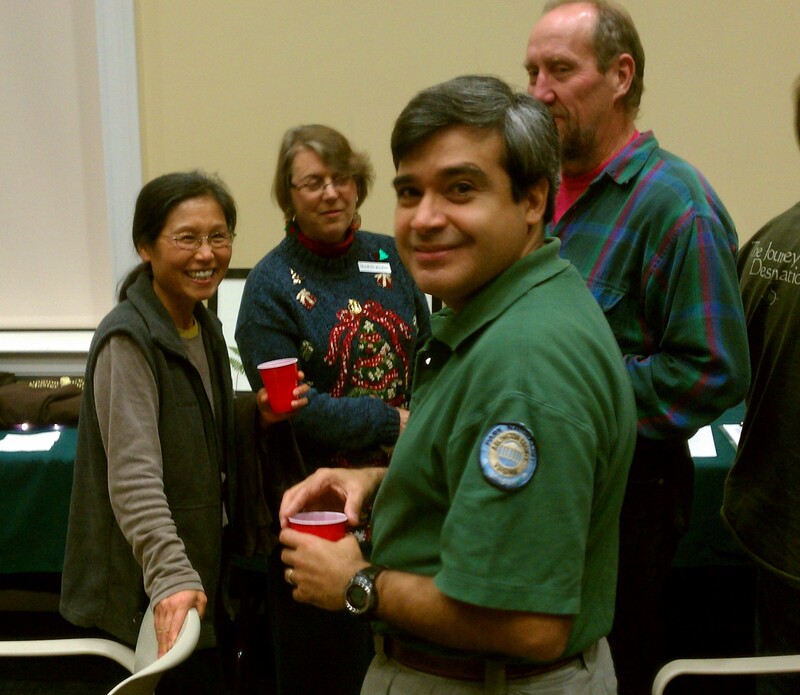 – Especially want to thank Alonso Abugattas for his ongoing support and to congratulate him on serving in the newly created position of Natural Resource Manager in Arlington County. We look forward to working with Alonso to move the Natural Resource Management Plan forward. – Instructors for classes and field trips. – Partner groups for supporting the volunteer work. Ruth Gibbons who has done a wonderful job of taking on the past two training classes. Thanks to all those that have served as committee members over this past year – it’s a team effort and none of us can do this alone! 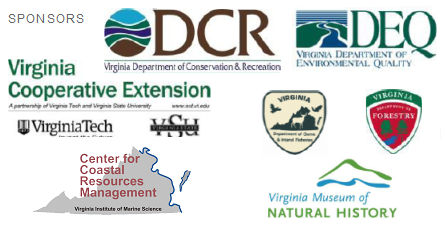 Most importantly, I want to thank each of the members who have dedicated themselves to becoming educated on these important natural resource issues and to taking that knowledge and putting it into action with volunteer service in our community. It has been an honor and a great privilege, as well as a lot of fun, to work with you all this past year. With dedicated volunteers and a strong foundation in place, we can move forward to do great things together. This entry was posted in News and tagged annual report, chapter meeting by christinearmn. Bookmark the permalink.